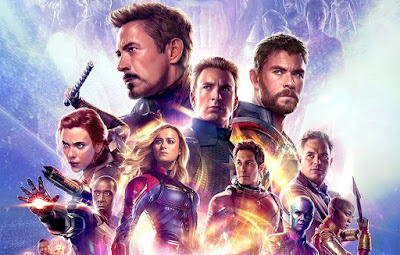 It's the second time all of the Marvel Cinematic Universe heroes joined to take on a new threat, yes Road To Infinity War has reached Avengers: Age of Ultron. 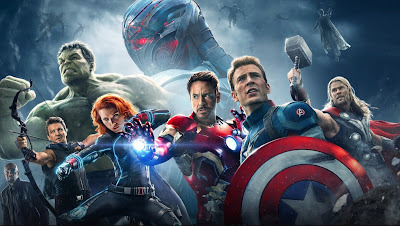 Firstly, I do think the Avengers films have an unfair advantage when reviewing them compared to the solo films, because even if the film technically isn’t perfect, the novelty of having all these characters together definitely uplifts you’re enjoyment of the film and influences your opinion. So, whereas the first Avengers is a genuinely well-structured film, Age of Ultron does have some issues but due to all the characters being on screen together I still think it’s great! What are my biggest issues? I’ve never been a huge fan of the farm sequence, I appreciate it gives the film a chance to breathe but for me it really brings the narrative to a crashing halt. There’s some good bits here, like Tony and Steve chopping wood and discussing the pros and cons of pre-empting threats. But you also have a load of Hawkeye and his family stuff, which just isn’t interesting, it feels like the film-makers are just forcing (or were contractually obliged) to give Jeremy Renner’s more screentime. This then result in my other main issue, Thor really gets short-changed and his little sub-plot of finding out more about his dream and consulting with Dr. Erik Selvig adds nothing to the narrative. At the time of release it was generally known this side-story was significantly cut down to help with the films overall runtime and I think this hurts the film overall. Honestly, I think it would have been better to cut it completely and just have Thor’s original dream be what leads him to return to Asgard and go in search of the Infinity Stones. However despite the above two criticism I do still really like Avengers: Age of Ultron and it still ranks relatively high in my favourite MCU movies. Again, probably partly due to the excitement of just having all these characters together in one film (again)! The opening attack on the Hydra Base is great, and filled with exciting action and punctuated by witty banter between our heroes “Language!”. The hammer lifting sequence with all the Avengers relaxing after the party is still one of the best scenes in the MCU, the Hulk and Hulk-Buster fight is spectacular and the chase through Seoul is exciting. Even though I don’t think the final set-piece in Sokovia is quite as special as the Battle of New York it’s still very entertaining. Ultron is an interesting villain, I remember the initial trailers and marketing for the movie pitched him as a much more sinister foe, yet in the movie he’s fairly banterful and playful, a fairly original personality for a robot. He is completely CGI though and (thankfully) the effects hold up so he’s doesn’t look too fake. There's also some great character introductions for future films, with the Vision, Scarlett Witch and Quicksilver bringing some variety to proceedings (at least 2 of those get expanded on in future MCU movies). We also get a cameo of Black Panther villain Klaw which is fun, and of course we end with a slightly amended line up for The Avengers team. So overall, I really like Avengers: Age of Ultron, it has a few issues but the spectacle and characters more than make up for it.